The openers made by Craftsman have traditionally had good design, reliable performance and durability. Issues with their operation and overall condition can result from accidents, improper use, inaccurately adjusted settings and natural wear and tear. One of the most common problems is the incorrect setting of the travel limits or the force. They are reset in line with the size and weight of the door and the spring tension. Rusty chain drive is another issue which occurs fairly often. Rust is removed with the use of a solvent. The chain is lubricated so that it moves smoothly and receives additional protection from rust. 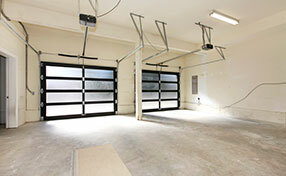 Broken moving gear is another fairly common problem which requires Craftsman garage door opener repair. The broken plastic part is replaced with a spare part, which has the exact same size and design. In case of seriously damaged opener circuit board, this part has to be replaced. In case of a broken motor, chain or belt, part replacement is made.